Christie Baumgartner is available as a yoga teacher for special events. She has instructed thousands of participants at half-marathons, bike races, and yoga festivals. 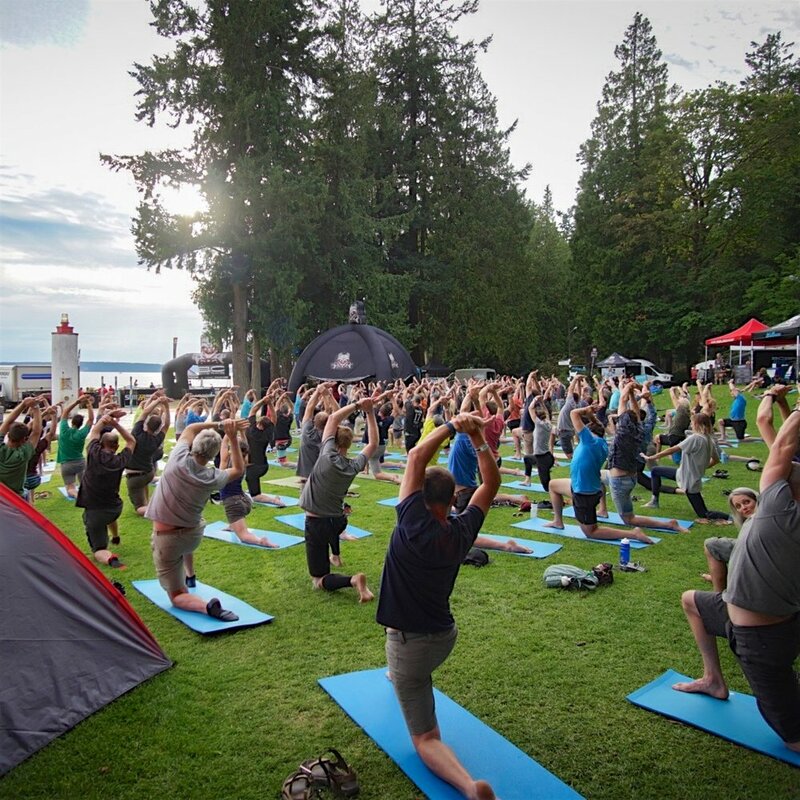 I love my job because I get to teach at some of the coolest events around, whether that's sunset yoga on Kitsilano Beach after a half-marathon, or a post-ride stretch for weary mountain bikers in the BC Bike Race. The BC Bike Race is a seven-day mountain bike stage race that – in 2017 – brought some 650 riders from 36 countries to compete on the trails of North Vancouver, the Sunshine Coast, and Squamish, BC. Participants ride 3-6 hours each day, and it was a privilege to help these athletes lengthen their bodies after such long days on the bike. The Lululemon SeaWheeze Half-Marathon is a three-day yoga-run-party event held each year in Vancouver, attracting some 10,000 participants from around the world. I have co-led various yoga events in multiple years, including the pre- race day yoga stretch and the post-race, sunset yoga, attended by thousands of participants. Wanderlust is a multi-day yoga and mindfulness festival with events around the world. I've taught classes at a number of these events, working with a number of partners, including Equinox and Lululemon. When you're invited to travel to the south of France to teach yoga to a professional cycling team, you go! I welcome any opportunity to work with athletes and – as part of Lululemon's partnership with the BMC Racing Team – I helped a team of pro cyclists develop their yoga practice and make the most of their time off the bike. How can I support your event? Send me a message using the form below. I am open to travel and multi-day engagements.